Yuto Knocks Out The Competition! GV students unleashed their inner Rocky to win an Everglades Champagne Tea thanks to Tribal Travel this afternoon. The gloves were off and the Wii remotes were on in the TV Room at 2pm this afternoon! The boys were signing up to play and the girls were watching with interest to see what the fuss was about. As the first round began between Yuto and Felipe, the girls realised how easy it was to play and decided to sign up as well. Showing no mercy, Ashlee beat most of the boys and made it to the final round with Yuto. 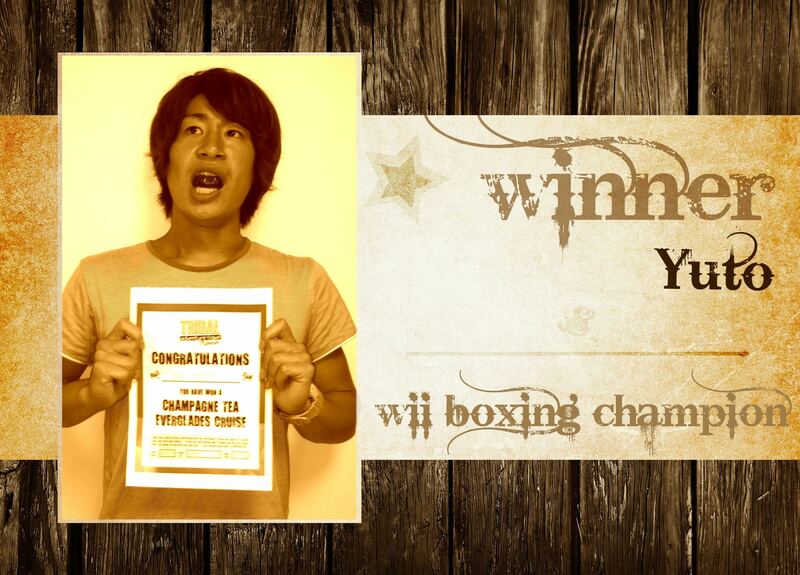 It was down to the last punch and with a last reserve of energy Yuto knocked out Ashlee to win the boxing Wii Wars. The 2011 Wii War has officially begun…. who will win the next battle? This entry was posted in Activities, Student News by Lexis | Noosa. Bookmark the permalink.